Why isn't my data arriving in Google Docs/Drive? We deliver data to a new sheet when your form schema is changed, typically by editing the form in our designer. Saving the mobile form - When a submission from the updated version is sent to the sheet, a new tab will be created, and the delivery sent there. Editing column headers generated by Device Magic. Adding an additional column header. Sheet has exceeded the cell-limit set by Google Docs. Sheet has exceeded the number of columns (based on the number of fields defined in your form). 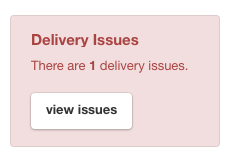 The delivery error may contain information that points to the causes above. You can attempt to resolve the issue by adding a second Google Doc connection in parallel to your existing one. It doesn't matter if the the sheet name is a duplicate of the original.